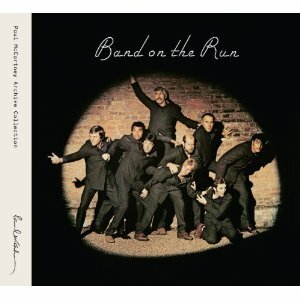 The newly remastered version of Paul McCartney’s “Band On The Run”, initially expected this month and then put back to September 28th, is now looking like having a November 2nd release. It will be released through Concord Records. For further information on the deal see my post from May 2010, plus an additional page at the Concord Records “News” site here. Clearly they intend using the famous original cover photo – but the change is a white strip down the left-hand side featuring the words “Paul McCartney Archive Collection” along with McCartney’s signature. This would fit with Concord Records’ announced plans for a comprehensive reissue schedule. CD3 21 tracks remastered from the original documentary produced for the 25th Anniversary Edition. UPDATE: The release dates have been confirmed – plus a FREE download of one of the short films on the DVDs which come with the Special and Deluxe versions has been made available. SEE ALSO “Band On The Run” 2010 – Deluxe CDs and the 2LP vinyl set. This entry was posted in Beatles Collecting, Beatles Music, Beatles Related, Paul McCartney and tagged Band on the Run, Band on the Run Remastered, Beatles, Beatles Collecting, Beatles Related, Paul McCartney by beatlesblogger. Bookmark the permalink.